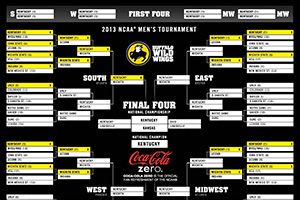 Buffalo Wild Wings was looking to increase restaurant sales during the Men’s NCAA Basketball Tournament. They decided to offer a mobile and desktop version of a basketball game along with a sweepstakes. Since the company selected to create the game had expertise in application development, but not database management and sweepstakes, they needed a vendor who could create and secure the database, integrate with the game developer and create a dynamic NCAA Bracket for participants to complete, along with managing the requirements of a sweepstakes. Elser Interactive was selected to create and maintain the website, database and interactive bracket challenge, as well as conduct all of the various sweepstakes offered during the promotion. Elser Interactive Solutions created an API for the game to communicate with the database and was responsible for tracking scores and determining daily, weekly and cumulative prizes. Elser Interactive also developed and maintained geo-tracking for the employee sweepstakes, which was based on activity at the respective Buffalo Wild Wings locations throughout the United States. 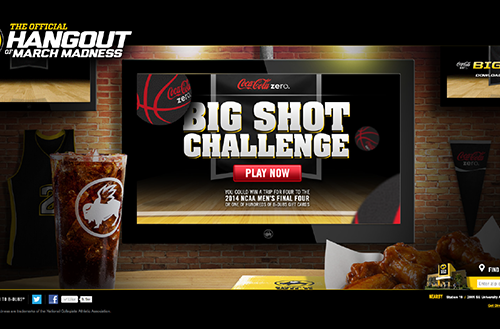 Big Shot Challenge has over 25,000 registered users and over 100,000 game plays during the promotional period. The game was available via the iPhone and Android mobile devises as well as online on their corporate website. Over 300 Buffalo Wild Wings gift certificates were awarded, as was a grand prize including a trip to the NCAA Final Four Basketball Tournament. Incremental store sales increased dramatically during the six-week promotion. P&G’s Charmin toilet paper brand wanted to increase sales at the end of their fiscal year. In an effort to stimulate sales, they decided to offer a different coupon each weekday over a two-week period. 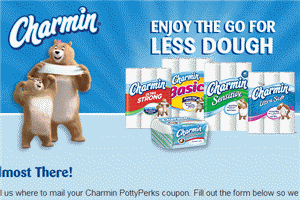 Media was purchased to drive consumers to the Charmin Facebook page where they could register for a coupon. Consumer could request one coupon each day during the promotion period. Coupon giveaway achieved a great response with over 30,000 coupons being distributed. These coupons, with a quick expiration date, resulted in incremental sales at the end of their fiscal year. General Motors needed to generate new sales revenue from consumers by enticing them into dealerships to spotlight the functionality of the OnStar feature. Consumers sat in a designated vehicle at the dealership and pressed the blue OnStar Button to speak to a live operator and play GM Hot Button to determine if they were a winner. An application was developed, hosted online and accessed by over 700 contact center agents to facilitate the instant win game. Live agents entered consumer information and submitted the game play to determine instant winners. In addition to the online application, we maintained the master program database, developed customized reports with data from multiple vendors, conducted a second chance drawing for unclaimed prizes and coordinated fulfillment with dealerships for the 1,000 winners. This promotion was the largest consumer promotion in history with 1,000 vehicles awarded in 60 days and a prize pool valued in excess of $26MM. GM Hot Button drove more than 2MM consumers into GM dealerships across the U.S. and resulted in more than 1MM second chance entries received via US Mail in a 60 day time period. Due to the high media visibility, the promotion resulted in incremental sales of 8,000 units over the previous year. Winners represented all 50 states and District of Columbia, ranging in age from 18 – 98 years old. The GM Hot Button promotion was awarded a Pro Award for “Most Innovative Communication Strategy” by Promo Magazine. 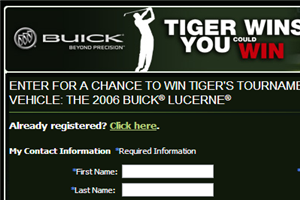 Buick wanted to offer an online multi-tier sweepstakes tied to individual golf tournaments with prizes awarded based on the performance of their spokesperson, Tiger Woods. Email communications would promote the program and consumers could receive a bonus entry for watching an online video featuring a Buick vehicle. An online sweepstakes that allowed multiple entry types with separate drawing periods for each of the 15 individual tournaments. The web development also included the integration of all on-site entries. An additional sweepstakes was offered during one of the tournament drawing periods for a trip to a major golf tour event and a personal clinic by Tiger Woods. Participants also received a special invitation via email for participation in a Buick Test Drive Incentive event. Buick also conducted a national dealer event to promote Buick Golf programs and awarded an additional clinic and trip to one lucky consumer via a scratch-off instant win program. Promotion resulted in more than 1.6MM+ entries including 500M unique participants. Participant data was integrated into Buick’s customer database for future use. In total, more than 3MM promotional support emails were deployed. Participants were also classified by geographic region and provided to Buick dealers as prospects. Overall, five Buick vehicles were awarded to winners as well as 18 trips to a major golf event including personal golf clinics by Tiger Woods. Customized, dynamic websites for 150+ radio personalities throughout the U.S. to drive product trial, coupon distribution and user-generated content. Developed an application that dynamically loaded custom photos of the radio personalities and their pets and individual testimonials. The site included step-by-step test instructions, consumer testimonials that made the switch to Purina ONE, and an interactive scorecard consumers could print for their records. All websites linked to Purina ONE’s database for registration/login and an online coupon vendor for serving the Purina ONE coupon. In addition to national coupon offers, the website also allowed for retail-specific coupons to be served by market. Purina ONE experienced tremendous success with this program. More than 20 different coupons were served in 16 different markets over a 6-month period. Overall, more than 50,000 consumers visited the site and downloaded a coupon to sample Purina ONE. Testimonials collected from these sites were included in future advertising for the brand. 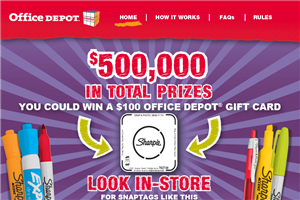 Office Depot wanted to create an instant win game via website and mobile applications for consumers. The program would promote the back to school selling season for an increase in store sales. The prize pool included $500M in instant fulfillment via an electronic gift card. Promotion was announced via national FSI. Developed an integrated consumer promotion with website and mobile applications, utilized mobile SnapTag™ technology and a web service for database integration. Program also included an associate program to allow store associates to become familiar with the upcoming promotion and understand SnapTag™ technology. Promotion supported by national spokesperson – Al Roker, 200 media placements including newspaper, TV, radio and online and in-store signage. More than 1.8MM game plays were received over 50 days. Promotion resulted in incremental sales and kick-started the Back to School season. Prize pool gift cards also resulted in increased sales. Online coupons were offered by 11 Office Depot vendors.